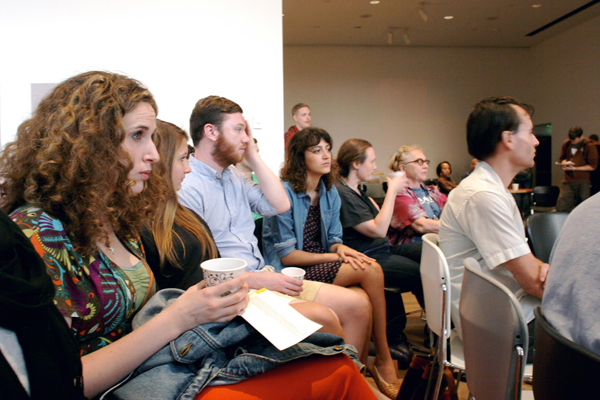 Comments Off on Words at WAM Recap! Words at WAM on September 18th! Much gratitude to WAM, WAM Collective, featured readers Katie Sisneros and Dobby Gibson, musical guest Beasthead, and Hazel & Wren peeps Timothy Otte and Elleni Paulson. Extra-special props to our awesome open mic-ers: Arianna Conseur, Timothy Carroll, Fox Smoulder, Daniel Friedrich, Naomi Ko, Derek Larson, Wendy Brown-Baez, Jesse Green, Michael Gould, Mason Nunemaker, Nina Ewest, Jeffrey Ellinger, Diana Rajchel, Yuw Bodum, Clarence Brown, and Patrick Maloney. And to the four we didn’t get to, due to that ANNOYING THING CALLED TIME, we can’t wait to hear you next time: Aron Wolde, John Moen, Hannah Cassel, Dan Forke. 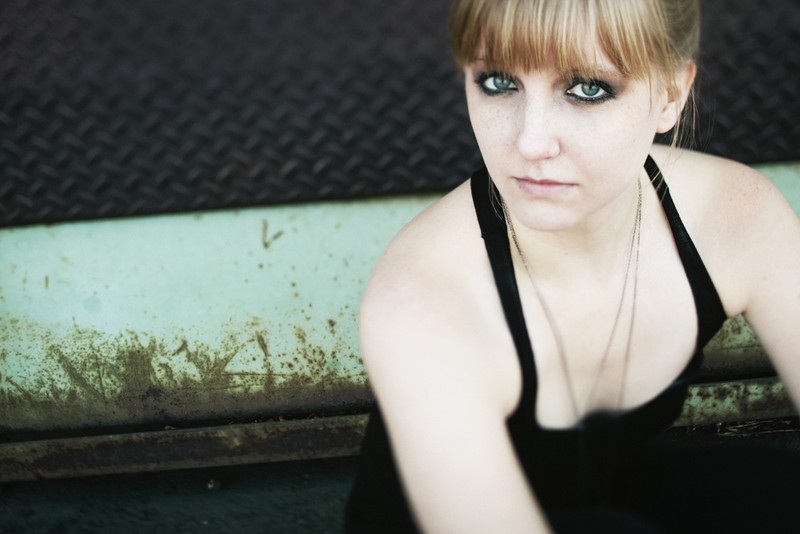 Editor’s Note: Katie Sisneros is one of our featured readers for tonight’s third Words at WAM (co-presented with our favorite U of M student group, WAM Collective). We can’t wait to hear what this hilarious writer will read for us, and we’re sure you can’t either. Experience the local greatness that the Twin Cities has in Sisneros, her fellow featured reader Dobby Gibson (who we interviewed last week here), and all of YOU gorgeous folks who are going to get up in front of that mic, too, right?!?!?! 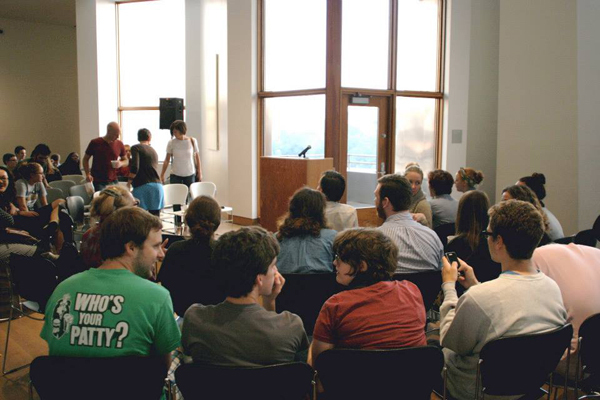 Social hour and open mic sign-up begins at 6 pm, and the open mic itself starts at 7 pm at the Weisman Art Museum. Hazel & Wren: Who is an author that continuously surprises you? Katie Sisneros: I hate to be that guy, but I’ll have to say Christopher Marlowe. I’ve read, like, a lot of Marlowe (occupational hazard), and no matter how many plays I read or how many times I read them, I’m pretty floored by the wit, the variety, the pain, the beauty. I’ve read Tamburlaine at least half a dozen times and my breath never fails to catch in my throat at some of the absolutely gut-wrenching lines. He takes the English language and just smacks you in the face with it. “The god of war resigns his room to me, / Meaning to make me general of the world. / Jove, viewing me in arms, looks pale and wan, / Fearing my power should pull him from his throne.” Marlowe has a whole arsenal of hated, amoral, power-hungry, unsympathetic main characters and almost no discernible protagonists. He was the crazy uncle of English Renaissance drama, was probably a spy for Queen Elizabeth, and died in a goddamned barroom brawl. AWESOME. KS: Although there’s something to be said for the tangibility of a thick book, I am not a nostalgic person. I do, truly, like both forms for disparate reasons. Anybody who denies the sheer convenience of being able to put hundreds of books on an e-reader versus lugging around physical books is deliberately deluding themselves. Oh what’s that? Books don’t require batteries, you say? Oh ok, I didn’t realize I was talking to Henry David Thoreau. Plug the damn thing in and stop being such a tech curmudgeon. I’ve read books in books, on e-readers, on my phone, on my laptop…if you can read it, read it. Words-to-brain transmission! Cool! That being said, the immediacy of interacting with a physical text is undeniably useful in my academic life. Lemme sum up: if I’m reading for funsies, e-reader is great. If I’m reading for school/dissertation, hard copies are best for underlining and marginalia (sorry guys, I doodle all over the pages of my books). H&W: What books are stacked by your bedside table (or your equivalent) right now, waiting to be read? KS: I’m simul-reading Marquez’s One Hundred Years of Solitude and White Mythologies by Robert J. C. Young. Patiently awaiting me on the ol’ bedside TV tray is Liberty Against the Law and The World Turned Upside Down by Christopher Hill, and Lucretius’s On the Nature of Things. H&W: Which authors and/or teachers have most influenced your writing? How so? KS: Easy peasy, lemon squeezy. Douglas Adams. In more ways than I can probably enumerate here. I first read The Hitchhiker’s Guide series when I was 15, impressionable, and wanted so badly to be a writer. He gave me the vocabulary and concepts I needed to figure out my atheism showed me the joys of inconsequentiality. 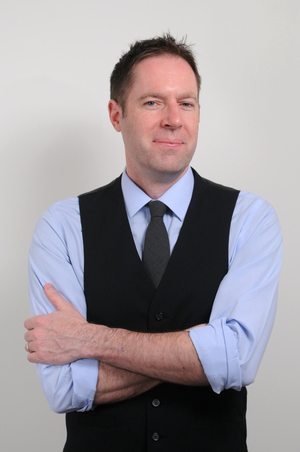 He and Dave Barry are my writing inspirations, and I think you can see that in almost everything I do, to the point where I should probably find a new shtick because absurdity is less a trope for me as it is a crutch. I know it sounds affected and overly sentimental, but Adams absolutely reformatted the way I think about, interact with, and observe the universe. Which is why I got some of his words tattooed on my person. H&W: Most productive place for you to write (physically and/or mentally)? KS: My writing productivity is so haphazard and unpredictable that I’m not sure I can even answer this question. Although I will say I almost always do my creative writing after midnight and with at least one whiskey in me. It’s like having social anxiety, but instead of people they’re words. I guess I like to write when I can have some distracting outside stimuli to look at while I’m thinking; if I don’t, I’ll get anxious and bored and just give up on writing and go watch TV or something. Editor’s Note: We’ve long been admirers of poet Dobby Gibson, thanks to his witty and humanly vulnerable approach to his art. You can imagine how tickled we were when he agreed to be one of our two featured readers for next week’s Words at WAM open mic at the Weisman Art Museum (co-presented by WAM Collective and yours truly). If you haven’t encountered his work, we strongly urge you to check out his newest collection of poems, It Becomes You, from Graywolf Press (you can read Wren’s review of it here). We hope you enjoy this teaser of an interview with Gibson as much as we do. See you next week at Words at WAM! Dobby Gibson: If you mean “continuously surprises” in a good way: Mary Ruefle. DG: Both. Very few poetry titles are available on e-readers, so I still experience poetry primarily via codex. And for general around-the-house reading and perusing, I definitely prefer the book-as-object. But for traveling, I go with an e-reader. I travel a lot for work, and the way I pack has an entire methodology. I have highly defined ideas about global voltage converters alone. DG: Joan Mitchell: Lady Painter, a terrific biography despite the galling title. And Ex-Voto, a book of poems by Adelia Prado. DG: I write in a genre that I never studied formally in school. I took one poetry workshop in 1997 and found it to be waste of time. So my “teachers” have all been other poet-friends. Last week I had a great conversation with local poet Steve Healey at the State Fair that helped me realize things about poetry. Children of America, skip school and go to the State Fair with Steve Healey! DG: You know how some authors’ book-jacket biographies say things like: “He divides his time between New York and Maine,” or “She splits her time between Berkeley and Colorado”? I split my writing life between the Dunn Bros. on East Lake Street and the Blue Moon Coffee Shop on East Lake Street. I’ve written two books in those shops — while being subjected to the sight of way too late-middle-aged men in cycling shorts on Saturdays. What is it about wearing those shorts in public that immediately requires a hot cup of coffee? Psst: Check out this gorgeous MotionPoem of Gibson’s poem, “The Painter,” animated by Mark Rubbo. It’ll make your day. 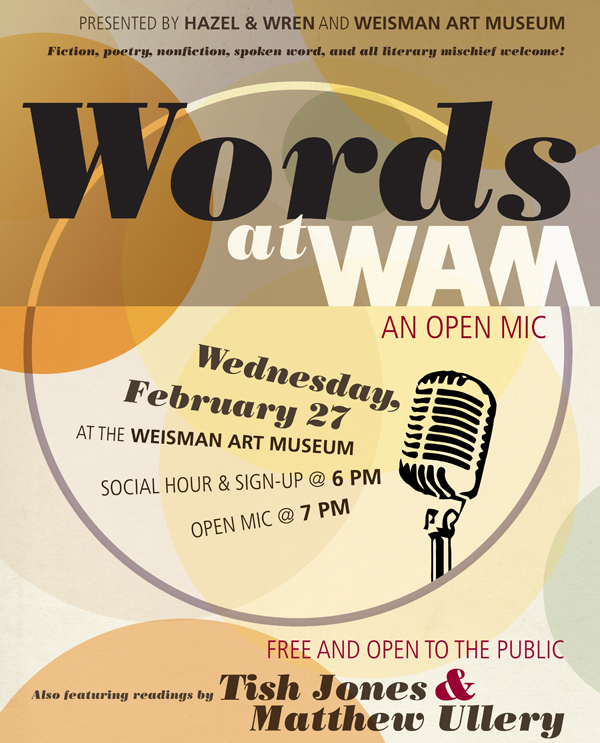 See You Tonight at the 2nd Annual Words at WAM! 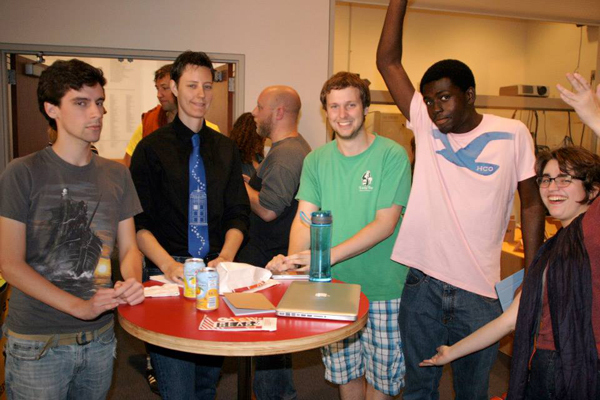 Comments Off on See You Tonight at the 2nd Annual Words at WAM! 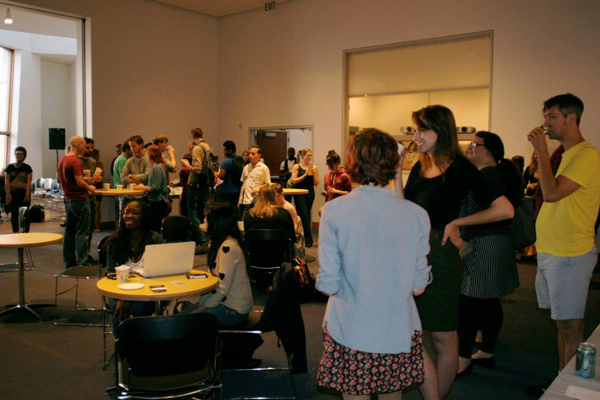 6:00–7:00 pm: Social Hour & Open Mic Sign-up (first come, first served): Social hour with refreshments, music entertainment, plus WAM exhibits Laylah Ali: The Greenheads Series and Our Treasures: Highlights from the Minnesota Museum of American Art. 8:00–8:30 pm: Featured Local Rockstar Readers: Spoken word artist, activist, and founder of TruArtSpeaks Tish Jones, and U of M student fiction writer Matthew Ullery. * The fine print: Each reader will have four minutes to read their work(s), with a 30-second grace period. Readers will be given warnings if they go over the time limit, and at 4 minutes, 30 seconds, will have trashy dimestore romance paperbacks thrown at them. Readers will go in order of the sign-up sheet. The open mic will end at 8:00 pm, regardless of how many people are left on the sign-up sheet, so get there early to ensure your reading slot! No props (costumes, music, etc) allowed. Psst: RSVP at the Facebook event here. Double-psst: Wanna see what last year’s was like? Peruse photos and read the recap here.